FED Chairman Jerome Powell is due to deliver opening remarks at the National Community Reinvestment Coalition's Just Economy Conference, in Washington DC. The FED is supposed to slow down the pace of monetary tightening and rate hikes this year given the weaker global economy. Although, the US economy is still holding on pretty well, so it will be interesting to hear Powell clarify the FED's position at this panel, if that's his intention. Please follow us for live coverage of this event by experienced market analysts. 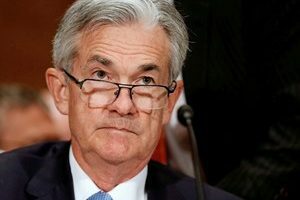 The Speech or the Press Conference from the FED Chairman Powell is a crucial event on the economic calendar. It is the public release of decisions made by the policymaking portion of the U.S. Federal Reserve (FED), the Federal Open Market Committee (FOMC). Upon the conclusion of an official FOMC meeting, the monetary policy decisions facing the USD are made public via press conference. Markets are highly sensitive to the FED Chairman Jerome Powell press conference. Policy matters, economic forecasts, as well as the actual verbiage used are interpreted by traders and investors in a myriad of ways. Tone, content, and the type of language used by the FED chair is capable of sending USD valuations in any direction.